Bleaching Earths presents the diverse use of fuller's earth and bentonite, particularly in vegetable and mineral oil refining. 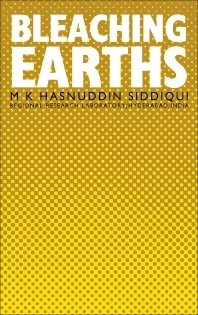 This book discusses the different aspects of bleaching earths from the stray. Organized into seven chapters, this book starts with an overview of the mineral composition of bleaching clays, which are often classified as fuller's earths and bentonites according to their inherent properties. This text then explains the three modes of formation of clay minerals, including weathering of igneous rocks, marine sediments, and hydrothermal alteration. Other chapters consider the properties of clay minerals, their classification, and relation to one another. This book discusses as well the various methods that are most helpful in the study of clays and related materials, including X-ray diffraction, chemical analysis, differential thermal analysis, and electron microscopy. The final chapter deals with the mineralogy of some typical clays that are susceptible to activation. This book is a valuable resource for scientists, physicists, chemists, and engineers.